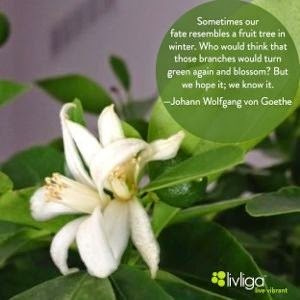 Livliga® Live Vibrant Blog: Great Healthy Living Quote #132--Hope it. Know it. Great Healthy Living Quote #132--Hope it. Know it. How do we know a tree will bloom again or that we can change? We hope it. We know it.